A great introduction to the techniques pros use with downloadble songs for even easier learning. 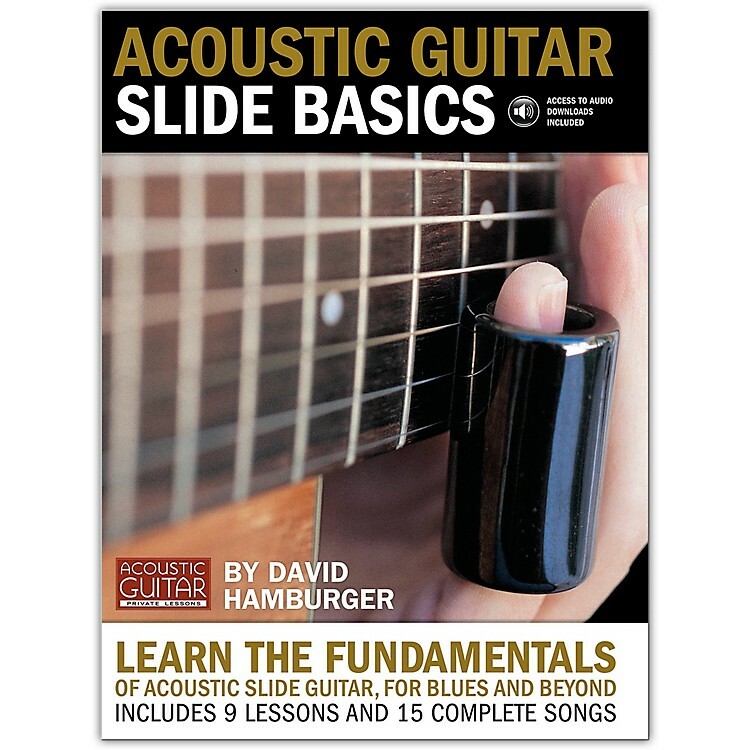 In Acoustic Guitar Slide Basics, David Hamburger, leading sideman, solo performer and teacher, guides players through this complete introduction to bottleneck slide guitar playing with progressive lessons in open tunings and fingerstyle technique, tips on slide guitars and gear, technical exercises and full songs. You can access accompanying audio examples online of all of the music played slowly, then up to tempo online. The book features standard notation with tablature and chord diagrams. Order this great instructional guide today and prepare to slide away.